At the new exam site veterans will be checked out by medical professionals, who can determine if their health conditions are related to their military service. Working Directly with the U.S. Department of Veteran’s Affairs (VA) in San Diego, a deported veteran has made a health clinic in Tijuana for other deported veterans a reality. Barajas-Varela served in the U.S. Army from 1995 to 2001 in the 82nd Airborne Division. He was first brought to the United States from Mexico illegally when he was seven. Because of an incident with a firearm in 2002, Barajas-Varela served a year in prison and was deported. He crossed illegally back into the United States and was deported again in 2010. Barajas-Varela has been working with the VA and Riverside Congressman Mark Takano to make the clinic a reality. 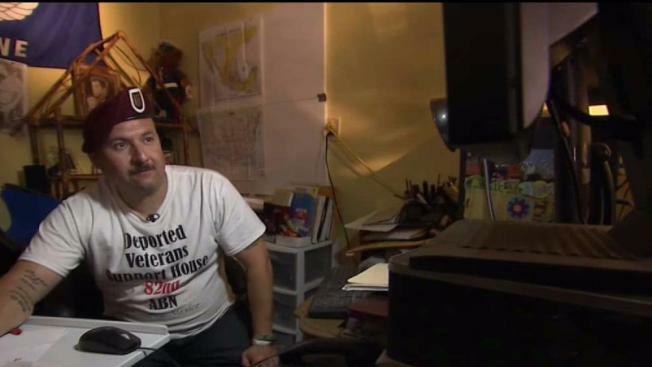 Barajas-Varela, who is the founder of the Deported Veterans Support House in Tijuana, has been working with the VA to get the clinic open for five years. Barajas-Varela said he has been in contact with hundreds of deported veterans around the world, including dozens that live in the Tijuana area. The U.S. government doesn't keep track of deported vets, but the Congressional Hispanic Caucus said there could be thousands. He said the financial benefits for those on disability will be wide-ranging.